Mike was great and got our washer repaired promptly. Communication of issue, parts needed, and when he would be arriving was outstanding. 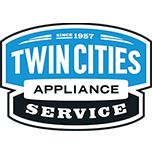 Would highly recommend TC Appliance Service to family and friends. Very good service. Dave is always friendly & efficient! Still under warranty, so no charges. The washing machine's start button beeps instead of starting the machine. Ironically it started just fine for Mike! He checked the control panel and recalibrated it for us. He said there's no need to order a new panel until it ever fails again. They came out really quick when my new washer was not working. He was quick and fixed the problem! Service was great. The tech was on time, friendly and quick. Price was terrible. It cost $188 to replace a $5 part in a microwave that took 15 minutes to repair. Prompt, courteous, quickly diagnosed the problem and then fixed & tested it. Overall just great. I REALLY appreciated the technician tracking app, that gave me at least an idea when I could expect him - super helpful! Nate came and took care of the problem first time. Nate was persistent and able to fix our JennAire double oven. DISHWASHER KITCHENAID KDFE104HPS0 "Ms pic.In diagnostics code 6-4 displays, which indicates the float switch was open or Held up by debris. Checked for debris and found none. Ran a self test and it comp,eyed the cycle.The debris that was under the float has been cleared away and it tests good." RANGE WHIRLPOOL KDRP707RSS01 "Installed gas regulator ordered. Checked for leaks. There is a leak at the gas tubing from the regulator. The tubing is NLA. Part # 4455645. Mark will contact customer tomorrow to refund part, labor, tax and shipping"
REFRIGERATOR KITCHEN AID KBFO42FTX02 Found unit dead and relay tripping on main control.mpulled unit out on sliders. Installed new control kit. Reassembled and reinstalled unit. Machine cooling at this time. Advised cust. Cust had to leave before done with job. Left bill on counter. Cust will call into office to settle bill when she gets back. REFRIGERATOR WHIRLPOOL WRS571CIDB02 "Replaced the user interface, transferring the face plate. Unplugged the unit to synchronize the2 boards. The compressor started before Technician left. Tech adjusted the freezer temperature down until,it came on, then Djusted the temperature back to the customer preferred temperature.The freezer was at 3 degrees when Technician left." DRYER WHIRLPOOL WED4850HW0 "Dryer. Checked dryer operation .checked dryer voltage on power cord ,voltage checked good 240volts.and hooked up right ,,checked dryer air flow dryer is good ,took dryer apart and checked heating element and thermostats. All wires hooked up right ,and element is good ,,ran dryer and checked temp and cycling ,dryer is cycling off heat good ,all normall temp .all working good not overheating at all and motor working good ,no problem verified now ,"
ICE MAKER KITCHEN AID KUIX505ESS2 "Ms pic and if the overproducing of ice.Removed excess ice to access part.Display blinked twice in diagnostics indicating a bad bin thermistor. Checked and it was over 1,500 ohms Off. Replaced the bin thermistor.. unit tests good and started to make ice before I left." RANGE WHIRLPOOL WEGA25H0HN0 Replaced the oven bottom that would not get clean. Y the self clean cycle. Customer er called the 877-258-0808 number they were referred to and the assistance was incomplete. Customer er searched the. InTernet to find an oven cleaning kit they can use on steam cleaning ovens. REFRIGERATOR KITCHENAID KRFC302ESS00 "Ms pic.This was a replacement refrigerator for one that was not repairable almost 1 year aGo.Temperatures on arrival were 44 degrees in the fresh food section and 4 degrees in the freezer. Customer had freezing of food in the fresh food section. They raised the temperature and it stopped freezing but odors started. found residual,of food gong bad in the bottom of each crisper drawer.cleaned each drawer of odor using Meyer’s brand cleaner. advised the customer of my findings.Replaced the damper control wpw10594329 from truck stock. Tests good in diagnostics. ; used 1 WPW10594329 (CONTROL) from stock"
REFRIGERATOR WHIRLPOOL WRT311FZDM01 "Ms pic.freezer temperature was 17 degrees on arrival. Took a picture of an excellent freezer frost pattern aNd the styrofoam air tower and gasket being good also. Hacked to see that the fresh food thermostat was taped n place as it shU,d be. It was. We will need to order the electronic control w11357371. Needs to be X Parted.Office to order and follow up with the customer. ; ordrng 1 W11357371 (ELECTRONIC CONTROL )"